The Phædrus Audio EF14M is a drop-in replacement for the EF14 and EF12 as, even these low-voltage heater tubes are now becoming scarce. The EF14M is a Phædrus Audio Electronic tubeTM: a modern emulation of every aspect of the original thermionic device. The technology is described here. The Telefunken EF14/ EF12 tubes have long been favourites for substitution for the VF14 device in mod's, clones and copies of the famous U47/U48 microphones. Sadly, even these low-voltage heater devices are now becoming rare; at least, those with sufficient performance for use as a microphone impedance converter. The Phædrus Audio EF14M is designed as a drop-in replacement for the EF14 in U47/48 type circuits. Because the EF12 has a slightly different pinout to the EF14, replacing an EF12 involves some small changes to the base wiring. Click for the datasheet for the EF14M. The Phædrus Audio EF14M is available in a standard and Red Dot version. 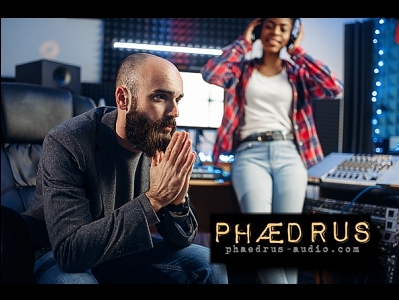 © Phædrus Audio 2018. All rights reserved.